Recent research from several independent sources have arrived at the same conclusion; the rate of progression of nearsightedness in young people can be slowed. In some cases the amount of projected myopia may be cut in half. Myopia control can work. Myopia or nearsightedness is characterized by blurred distance vision and the ability to see well up close. This condition can be created by one of two reasons. The cornea, the clear window at the front of the eye, can be too strong. Or the eyeball itself may be too long. Under both circumstances, light entering the eye focuses in front of the retina. An analysis of the pathway of light shows that while an accurately prescribed eyeglass lens will focus an image sharply, it only does so for the innermost field of view, approximately 15 degrees of central vision. The patient’s peripheral vision is out of focus because these rays fall beyond the retina. Because there are fewer receptors in that region the patient will have few visual complaints. Emmetropization is the key to myopia control. Eyeballs grow steadily during the first two decades of life. The process of emmetropization is one of the mechanism the dictates this growth. The eyeball literally chases the clearest focus, growth only stops when sharp peripheral vision is achieved. If we can achieve crisp vision across the entire field of view we can achieve myopia control. Lighting striking the perimeter of a spectacle lens will bend more than the central rays, over-correcting the peripheral retina. Pushing this peripheral focus beyond the retina causes the eyeball to continue to grow longer, as it seeks sharper vision. Myopia control research reveals that providing good central vision while under correcting the peripheral field dramatically slows the anticipated increase in myopia. Several new lens designs are being introduced to accomplish these ends. The contact lens specialists at Parrelli Optical can discuss these options with you or your child to determine your best treatment options for myopia control. 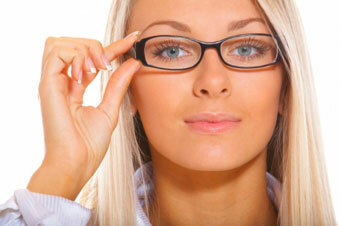 Myopia control improves eye health. Myopia control not only removes the many visual complaints that attend high degrees of nearsightedness but, it lessens the physical complications that often accompany progressive myopia. Elongated eyeballs have a greater tendency for floaters, retinal thinning, retinal tears and retinal detachment. Peripheral retinal degenerations and vitreous (the gel in the back of the globe) detachment are far more common. Among the highly nearsighted, glaucoma (increased eye pressure) and macular (central vision) degeneration more commonly impact vision. Young healthy eyes may see well but the myopic eye does not age well. There are appear to be few patient complaints associated with myopia control. The successful slowing of nearsightedness can have a profoundly positive impact on the quality of vision for a lifetime. Contact your local Parrelli Optical for more information on Myopia control.